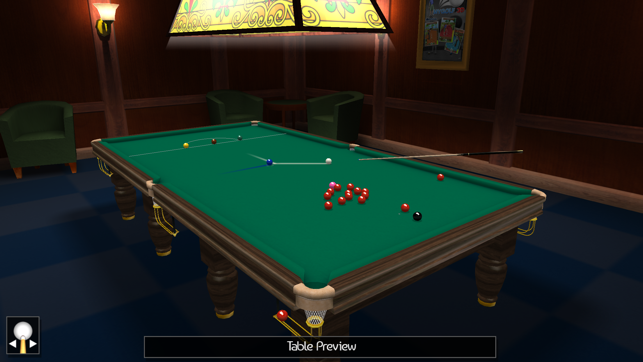 Following the worldwide success of its sports games iWare Designs brings you Pro Snooker 2018, probably one of the most realistic and playable snooker and pool games available on mobile devices. Boasting fully textured game environments and full 3D rigid body physics this game is the complete package for both casual and serious gamers. 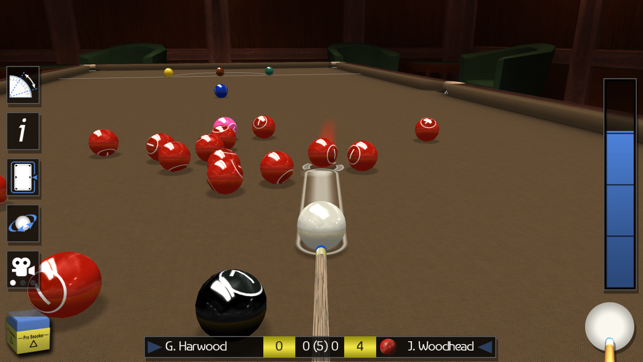 Download Pro Snooker 2018 now and try it for free, you will not be disappointed. The good. 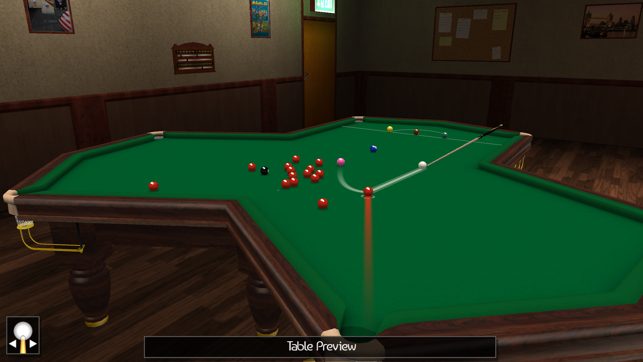 It is the best of the snooker games out there. The graphics are good most of the game play is accurate. I have played this game a lot. I have even learned a little more about break building from this game. The bad. The sounds are awful, the balls going in the pockets are sounds of a basic pool table. I turn all the sounds off. Caulking the cue is just as bad, with a scratching sound. The AI is a little annoying sometimes it will miss really easy shots early in the frame. Then pot a string of balls in a row that are almost impossible to make unless you are a computer. The best way to beat it is keep it off the table. All in all it’s worth getting, especially if you cannot play on a real table. I recognize that positional play in snooker would be very hard to program — it’s chess-like. The result, though, is that the computer has no positional sense and compensates by making ridiculously difficult shots, especially at “pro” level. 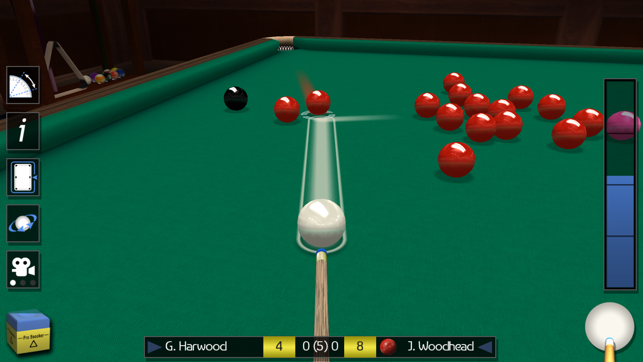 This means it is impossible to play a safety — the CPU will make a 4-ball combo out of a cluster the length of the table. 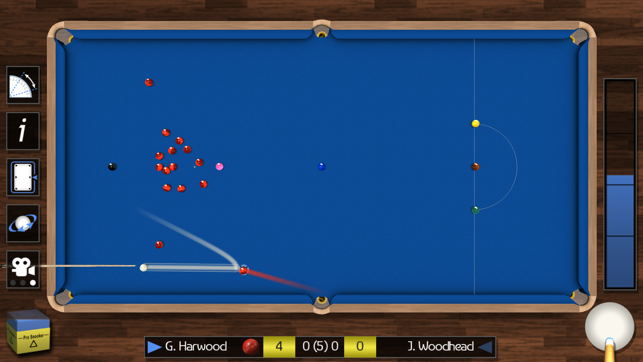 Without proper safeties, much of the strategy of snooker is gone. The good news is that the online multiplayer is full of skilled humans, and the game is good for that.